On visiting Boots on the pretence of buying nappies (translate as feeding my make up obsession) I popped my advantage card in the machine to see what new offers I had. 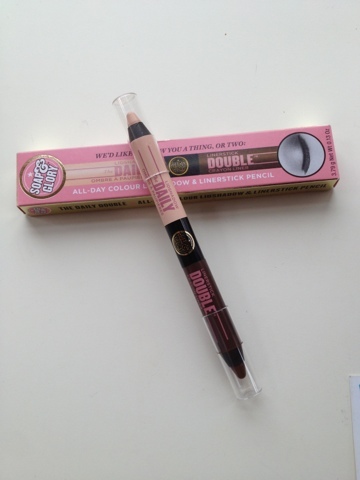 Buy a double daily eye stick for less than half price at £4! I tried it this morning and dear god, don't make any mistakes because this product has serious staying power! Only 3 shades available in my local, but I wonder if there are more as if so I'm in for the long haul. 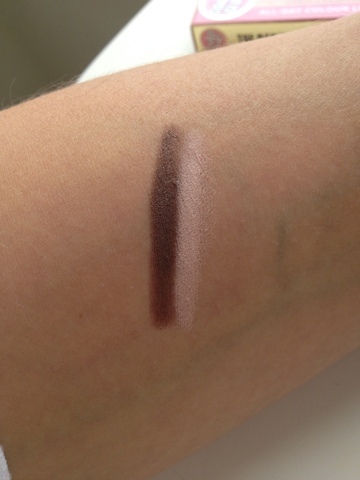 The double ended pencil is so creamy, and I prefer the thinner tip to the Clinique chubby for eyes, it gives a much more precise application and you can get into the inner corners much easier.